Dr. Thomas E. Starzl, known as the “father of transplantation” for his role in pioneering and advancing organ transplantation from a risky, rare procedure to an accessible surgery, died Saturday, March 4, 2017, at his home in Pittsburgh. A memorial service for Dr. Starzl will take place at 1 p.m. Saturday, March 11 — which would have been Starzl’s 91st birthday — in Heinz Memorial Chapel, on the University of Pittsburgh campus. A live simulcast of the service will be broadcast online. Media parking is available in the RA lot, accessible from Ruskin Avenue. A mult box will be available for media use. Reporters seeking interviews after the service are asked to restrict themselves to the walkway nearest Forbes Avenue in order to allow mourners egress from the chapel. Thomas Starzl is a globally recognized pioneer in science and medicine, but beyond that mantle he was simply known and loved for the person that he was. He was husband and soulmate to Joy Starzl, father to Tim Starzl (Bimla), Thomas F. Starzl, and Rebecca Starzl, grandfather to Ravi Starzl (Natalie), and godparent to Lamont Chatman and Angela Ford. He was deeply loved for his tremendous wit, humor, and sensitivity. His traits of humility, keen observation, and seemingly limitless memory fused to create a unique personality that was at the same time inspiring and comforting. His drive to always remain in motion led him on grand adventures around the world, from his beloved Colorado Rockies to the sea of Japan, from to the tundra of northern Finland to the beaches of Monaco. He had an expansive knowledge and appreciation for all music, from classical to modern jazz. He enjoyed watching and analyzing movies, often researching their production and topic matter for hours, both before and after repeated viewings. He raised and cared for many canine companions, including Bevo, Thor, Maggie, Tiki, Shelby, Basta, Chooloo, and Ophelia. Their unconditional love was matched only by his own love for them. He will be greatly missed. Dr. Starzl joined the University of Pittsburgh School of Medicine in 1981 as professor of surgery, and led the team of surgeons who performed Pittsburgh’s first liver transplant. Thirty liver transplants were performed that year, launching the liver transplant program – the only one in the nation at the time. A major focus of Dr. Starzl's later research was transplant tolerance and chimerism – the existence of cells from both the donor and recipient. His work in this area offered significant contributions to the understanding of transplant immunology, particularly with respect to how and why organs are accepted. Dr. Starzl was the recipient of more than 200 awards and honors, including the Lasker-DeBakey Clinical Medical Research Award from the Albert and Mary Lasker Foundation in 2012; the 2004 Presidential National Medal of Science, the nation's highest scientific honor; the David M. Hume Memorial Award from the National Kidney Foundation; the Brookdale Award in Medicine presented by the American Medical Association Board of Trustees and the Brookdale Foundation; the Sheen Prize from the American College of Surgeons; the Bigelow Medal from the Boston Surgical Society; the Medallion for Scientific Achievement presented by the American Surgical Association; the William Beaumont Prize from the American Gastroenterological Association; the Peter Medawar Prize of The Transplant Society; the Jacobson Innovation Award of the American College of Surgeons; the International Chiron Award from the Italian Academy of Science; the Lannelongue International Medal from the Academie Nationale De Chirurgie (National Academy of Surgery, France); the King Faisal International Prize for Medicine from Riyadh, Kingdom of Saudi Arabia; the Rhoads Medal of the American Philosophical Society; the Prince Mahidol Award from Mahidol University at Salaya, Bangkok, Thailand; the Gustav O. Lienhard Award from the Institute of Medicine; and 26 honorary doctorates from universities around the world. Dr. Starzl's national and international endeavors included membership in more than 60 professional and scientific organizations. He served as president of the Transplantation Society, founding president of the American Society of Transplant Surgeons and founding president of the Transplant Recipients International Organization. In 1992, he was inducted as one of only five American members into the prestigious National French Academy of Medicine. 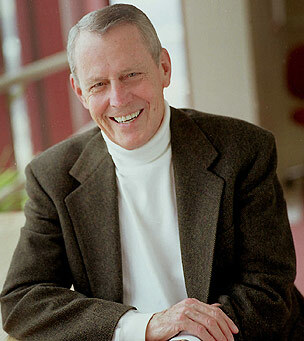 A sought-after speaker, Dr. Starzl gave more than 1,300 presentations at major meetings throughout the world. He belonged to the editorial boards of 40 professional publications and authored or co-authored more than 2,200 scientific articles, four books and 300 book chapters. According to the Institute for Scientific Information (ISI), Dr. Starzl for a time averaged one paper every 7.3 days, making him one of the most prolific scientists in the world. In 1999, ISI identified him as the most cited scientist in the field of clinical medicine, a measure of his work's lasting influence and utility. The book, “1,000 Years, 1,000 People: Ranking the Men and Women Who Shaped the Millennium,” ranked Dr. Starzl 213th on its list of the 1,000 people having the greatest influence on the world in the preceding 1,000 years. Dr. Starzl's autobiography, “The Puzzle People: Memoirs of a Transplant Surgeon,” was published by the University of Pittsburgh Press in 1992. Translations have been published in Italian, Japanese, Korean and Spanish. All author's royalties are donated to the Transplant Recipients International Organization. Mark A. Nordenberg, Chancellor Emeritus, University of Pittsburgh.